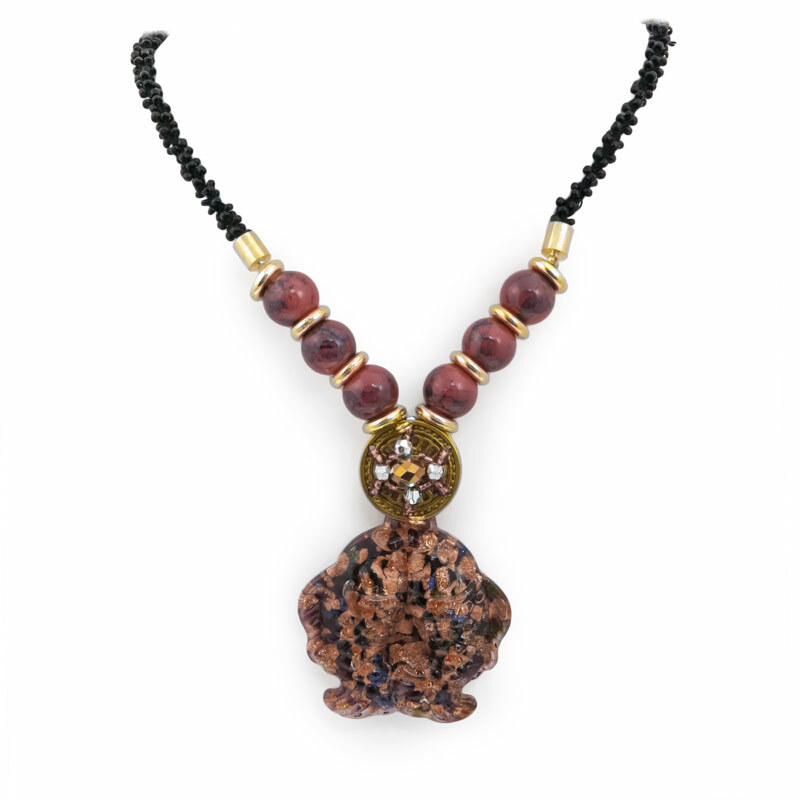 An elegant necklace with an Amethyst Murano style glass pendant in the shape of two fish. The pendant sits on a 24" seed beaded necklace. In Feng Shui, the double fish represents abundance and wealth.